Matthews (hamstring) was placed on injured reserve Tuesday, Eric Allen of the Jets' official site reports. Analysis: Matthews suffered a hamstring injury during Saturday's 29-22 loss to the Texans, the severity of which now lands him on season-ending injured reserve. 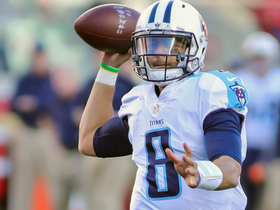 The 29-year-old caught five passes for 24 yards across three games with the Titans and five games with the Jets this season. Just two years removed from a 65-catch, nine-touchdown campaign, Matthews has an NFL future that's murky at best. Matthews (hamstring) will not return to Saturday's game, Ethan B. Greenberg of the Jets' official site reports. Analysis: The official ruling comes late in the fourth quarter, when it didn't appear Matthews was any closer to returning. He'll finish the game with just one catch for seven yards. Matthews (hamstring) is doubtful to return to Saturday's game against the Texans. 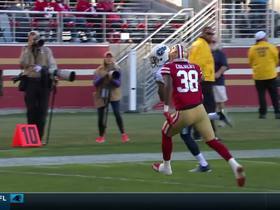 Analysis: Matthews recorded one catch before going down with the aforementioned injury. Andre Roberts and Charone Peake could see a handful more snaps in Matthews' absence. Matthews hauled in his lone target for six yards in Sunday's 27-23 win over the Bills. Analysis: Matthews has yet to record double-digit yards in a game this season. Matthews (coach's decision) is inactive for Sunday's game against the Titans. Analysis: Matthews' return to Nashville will come and go without him even getting a chance to play against his former team, as coach Todd Bowles elected to keep all six of the other receivers on the roster active instead. After failing to make an impact in his lone two appearances with the Jets and now a healthy inactive for the second straight week, Matthews could be released before the season ends, as the rebuilding Jets kick the tires on younger players. Matthews is inactive Sunday against the Patriots. Analysis: With Robby Anderson back in action, Matthews is the odd man out Sunday. He's thus off the fantasy radar until he carves out a meaningful role in the team's offense. 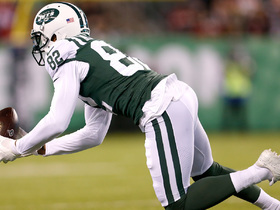 New York Jets wide receiver Rishard Matthews makes diving catch for third-down conversion. 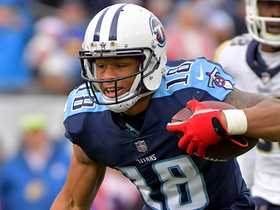 NFL Network's James Jones dives into the tape to show why Tennessee Titans wide receiver Rishard Matthews is one to watch this weekend. 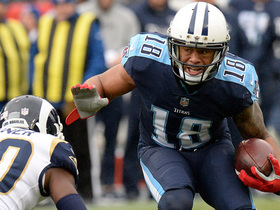 Tennessee Titans quarterback Marcus Mariota connects with wide receiver Rishard Matthews for a 25-yard gain. 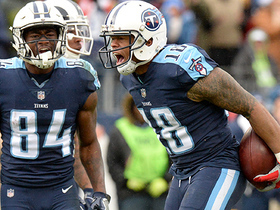 Tennessee Titans quarterback Marcus Mariota connects with wide receiver Rishard Matthews for a 23-yard gain. 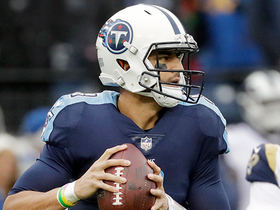 Tennessee Titans quarterback Marcus Mariota is picked off by Los Angeles Rams linebacker Cory Littleton. 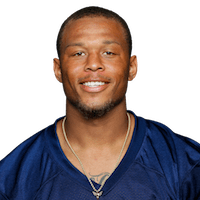 Tennessee Titans wide receiver Rishard Matthews comes down with huge 25-yard catch in two-minute drill. 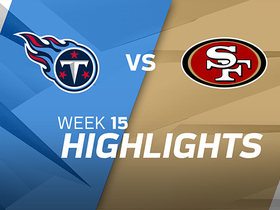 Tennessee Titans quarterback Marcus Mariota delivers huge pass to Rishard Matthews to convert on third down. 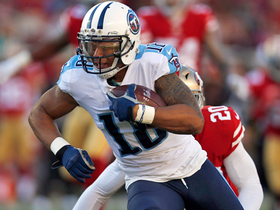 Tennessee Titans quarterback Marcus Mariota hits wide receiver Rishard Matthews over the middle for a touchdown. 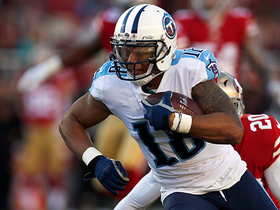 Tennessee Titans wide receiver Rishard Matthews fights hard for extra yards, picks up 21.